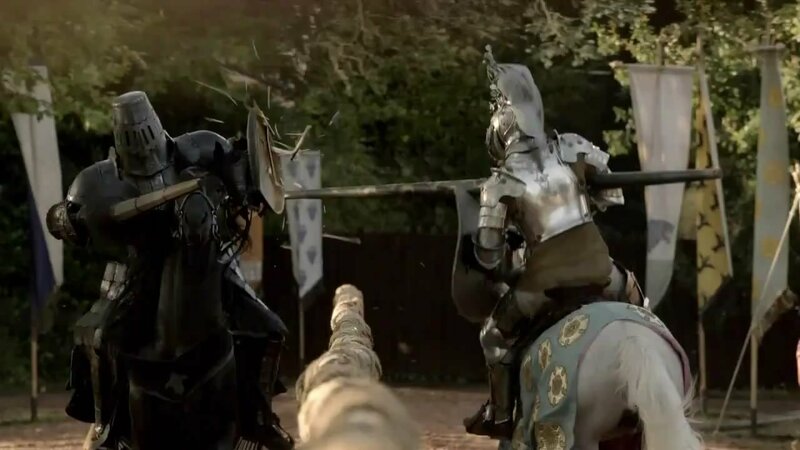 Brilliant jousting shot here! Love the flying splinters. Behind Gregor you can see the Redwyne grapes being repeated a number of times, and on Loras’s side we have the Caron nightingales and the Tyrell rose. For these long banners, the show has opted to repeat elements multiple times rather than sticking to a strictly canonical representation.